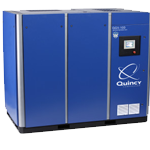 Quiet and efficient machines available. Be part of the Maine Air Power, Inc. team. 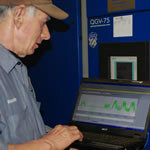 Prescriptive incentives available through Efficiency Maine. Maine Air Power is an authorized dealer for many of the industry’s leading manufacturers, Quincy, Sullivan/Palatek, Powerex, Zeks, Domnick Hunter, SMC, Becker — offering sales on a full range of reciprocating and rotary screw air compressors both lubricated and oil-less as well as variable speed drive and variable capacity rotary screw air compressors. We also offer full parts support along with 24-hour service support for many brands of air compressors, vacuum pumps, dryers, filters and related components. A family owned business since 1984, specializing in Industrial/Medical Air Compressors and Vacuum Systems for Maine and all of New England. 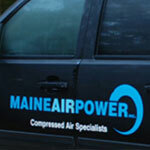 Contact us to discuss how Maine Air Power can make your business work.